April is Donate Life Month and offers local, regional and national activities to help encourage us Americans to register as organ, eye and tissue donors and to celebrate those who have saved lives through the gift of donation. It’s all about organ donation and how we can help save other people’s lives. This is very meaningful here at the National Motorcycle Museum. 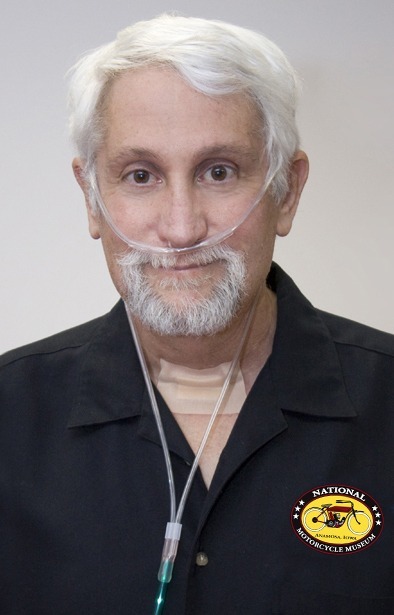 John Parham, the Founder of J&P Cycles and now the President of the National Motorcycle Museum was a lung transplant recipient in August 2010. The wonderful and thoughtful person who planned for donation has so far added almost six years to John’s life! 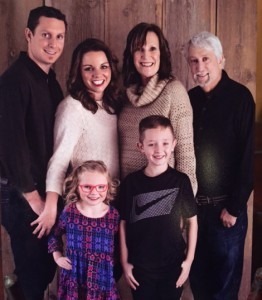 “I was diagnosed with Pulmonary Fibrosis in the fall of 2007 (I never smoked cigarettes). Pulmonary Fibrosis is a lung disease that scars lung tissue, it never grows again. I’ve had only 55 percent lung capacity since 2007. On March 16, 2010 I was admitted to the hospital for emergency colon surgery. That surgery went well, but in recovery I contracted pneumonia and spent 33 days in Intensive Care and another 19 days in the hospital for a total of 52 days. My lungs were damaged even further requiring me to be on oxygen at all times as my oxygen levels dropped to very low levels. My only hope to live was a lung transplant. “I was informed on June 25, 2010 that I had been placed on “the list” for a new lung. My condition continued to deteriorate, but on Saturday, Aug. 7 we received the call that a lung was available and to begin to prepare to be transported to the Cleveland Clinic for the procedure. “Prior to the transplant, I was using 65 to 70 percent oxygen regularly. Today I am able to function with absolutely no oxygen equipment at all and am able to walk and get around much better than before. Having sold J&P Cycles in 2001, Jill and I now dedicate most of our time to several Jones County charity organizations and the National Motorcycle Museum where I serve as President. “Through all this, I have truly learned what is important in life: my family has provided never ending support and has always been there for me, especially my wife Jill. My friends have as well, it really makes you realize how lucky you are. Believing in God and praying for strength to continue to keep going everyday is important. I had a lot of people praying for me and I appreciate it so much. Transplantation is one of the most remarkable success stories in the history of medicine. Transplantation gives hope to thousands of people with organ failure and provides many others with active & renewed lives. But despite continuing advances in medicine and technology, the need for organs, and tissue, is much greater than the number available for transplantation. Transplantation gives hope to thousands of people who are suffering from organ failure, providing active and renewed lives,” in the words of Donate America. If you need more information and a way to sign up you can click below for additional helpful resources.